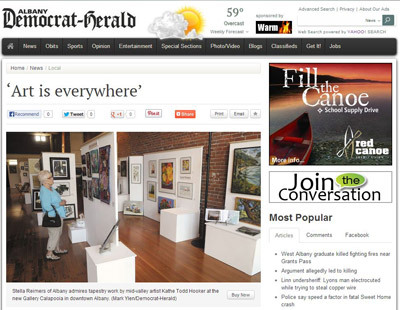 The gallery appears on the front page of the Albany Democrat-Herald today. The digital version – http://goo.gl/zxSQwN. Thanks D-H and Jennifer Moody! This entry was posted in Gallery and tagged Democrat-Herald, gallery on August 12, 2013 by GCWebCoord.